Technology is continuously growing and evolving. A symbol of progress, it offers many benefits and influences almost all aspects of our lives. On the other hand, an increased dependence on technology may have a negative impact on personal interactions and physical activity. Lifestyles are becoming increasingly sedentary; we have to make a conscious effort to stay active and healthy. Take charge of your health and explore all the handy and inexpensive tools that technology has to offer. There are vendors that offer free calorie counting apps which are supported with online diet recommendations and free fitness tips. Mobile apps give you the ability to stay on track with your health and fitness goals even when you don't have access to a computer. Whether you are on a weight loss program or watching your protein intake for building muscle mass, reliable calorie counting mobile apps help you keep track of calories, carbohydrate, protein, and fat intake. Apps that track food and drink consumption can also be used to manage diabetes; blood sugar levels can be controlled with an appropriate carbohydrate intake that matches insulin schedule and dosage. 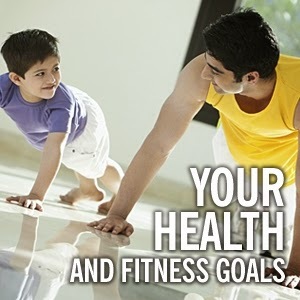 A balanced diet and regular physical activity are the winning combination for good health. 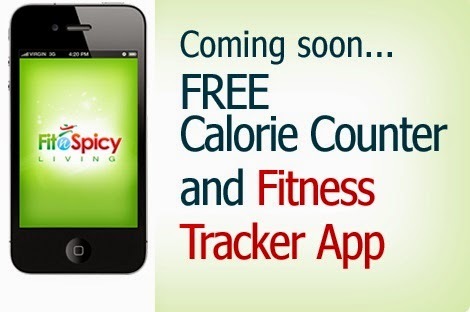 Fitness tracking apps allow you to track daily physical activity and the calories burned. According to the Indian Heart Association, heart disease is the leading cause of death among Indians. Heart disease is occurring at a much younger age with Indians. Men under the age of 50 years account for 50% of heart attacks among the Indian male population. A lack of awareness, genetic predisposition for hypertension, diabetes, sedentary lifestyle, poor diet, and stress are contributing factors. Poor diet is caused by the lack of nutrition knowledge and an increased consumption of high fat restaurant foods. The risks for heart disease can be reduced by improving public awareness with health and nutrition education. Websites and mobile apps provide free nutrition facts databases containing common foods, packaged food products, recipes, and popular restaurant menu items. 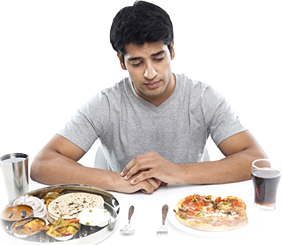 Specialized websites and mobile apps offer advanced support for ethnic diets; examples include Indian cuisine nutrition information, diet tips, and personalized meal plans. The different types of fat found in food vary in their effect on health. In addition, there is dietary cholesterol which is found in animal foods. MUFA (monounsaturated fatty acid) and PUFA (polyunsaturated fatty acid) are types of unsaturated fat; these are liquid at room temperature. There are certain essential fatty acids (belonging to the omega-3 and omega-6 PUFA groups) that we need to get from food. MUFA helps to decrease overall total blood cholesterol; it decreases LDL ("bad") cholesterol and may increase HDL ("good") cholesterol. PUFA also helps to reduce overall total blood cholesterol; it reduces both LDL and HDL. Omega-3 fats may help to lower triglyceride levels and reduce the risk for blocked arteries and hypertension. In contrast, saturated fats are solid at room temperature and increase total blood cholesterol and LDL. Trans fats are formed during the partial hydrogenation of processed foods; they increase overall total cholesterol and LDL. Understanding the fat content of foods helps to prevent and manage heart disease. Online databases provide the nutrition information of food which includes the calories, carbohydrate, protein, sodium, fiber, and fat content of foods. According to the International Diabetes Federation estimates, there were about 65 million people with diabetes in India in 2013. Diabetes is the health condition where blood sugar levels are higher than normal. Blood sugar is also known as blood glucose; it is a crucial source of energy for the body. Insulin is a hormone that helps the body utilize the glucose. If insufficient insulin is produced by the body or it does not respond to insulin, glucose accumulates in the blood resulting in diabetes. The body naturally produces blood sugar from the food we eat and stores in the body. Diabetes can be successfully managed by the combination of a well-planned diet and medication. Use websites that provide free nutrition databases and food labels to look up the nutrition information of food. A healthy balanced diet is essential for diabetes management. The food you eat affects your blood sugar, body weight, and heart health. The three major food groups that contribute calories are carbohydrates, protein, and fat. Among the food groups, carbohydrates have the maximum effect on blood sugar levels. After meals, the increase in your blood sugar level is determined by the amount of carbohydrate in the food. Nutrition data helps you identify the foods that contain carbohydrates and control portion sizes. Examples of foods rich in carbohydrates are rice, bread, roti, naan, cereals, pasta, grains, starchy vegetables (potatoes), dried beans, lentils, milk, yogurt, fruits, juices, sodas, and desserts. The general viewpoint is that you can't go wrong with a vegetarian diet; it is nutrient rich with plenty of fiber, vitamins and antioxidants. But did you know that vegetarian diets can be low in protein if adequate beans, lentils, and/or dairy are not included? For example, a vegetarian meal that only consists of a leafy green salad with a side of whole grain bread is low in protein. Adding beans to the leafy green salad, a side of lentil soup, and/or a serving of non-fat milk or yogurt are easy ways to include protein in the meal. Also, eating the same lettuce salad for lunch every day can also mean that your diet lacks variety. Eating a variety of vegetables and fruits ensures that you are getting different nutrients from naturals foods on a regular basis. Whether you are eating at home or in a restaurant, there are websites with free tools that you can use to look up the nutrition data of foods and recipes. Most free nutrition databases that are available online, provide the calorie, carbohydrate, protein, and fat content of foods. They may also include additional nutrition information of food like dietary fiber, cholesterol, and sodium content. The field of nutrition is continuously evolving due to extensive scientific research that is conducted globally. Board certified nutrition professionals are required to continuously update their knowledge and skills based on the results of the latest scientific research. Stay current with dietary recommendations by reading nutrition tips provided by qualified experts; avoid the yo-yo effects of fad diets and miracle foods. 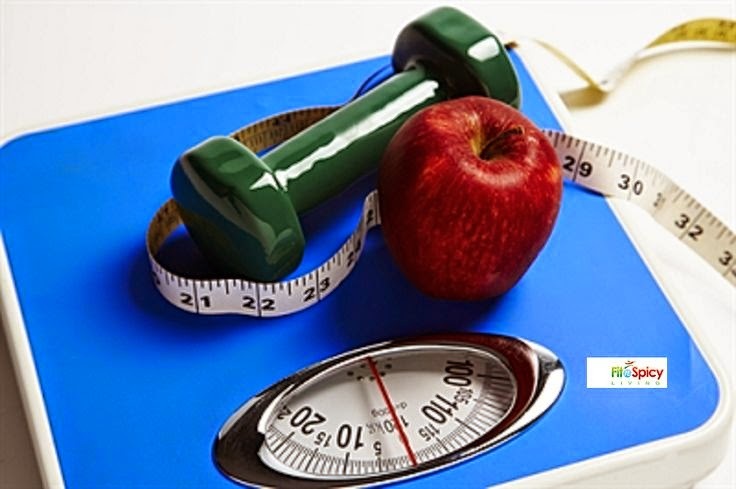 Weight management is a global issue that most of us can relate to. In wealthier countries where food is abundant, weight loss and maintenance is a concern for many. On the other hand, healthy weight gain or access to nutrient rich food is an issue for the poor. The lack of understanding with regard to appropriate portion sizes and related nutrition information of food combined with misconceptions based on the latest diet trends contribute to life-long struggles with weight management. The internet is flooded with nutrition advice and miraculous food products from unqualified experts looking to profit from the misinformed consumer. A balanced diet that is based on moderation and variety is essential for successful weight management. Another common issue is that many of us tend to underestimate how much we eat or drink. Maintaining a food journal or diary helps us get an accurate food history. It is important to track every meal, snack and drink for several days including at least one weekend. Our eating habits on weekends tend to be a little different from weekdays due to parties, eating out at restaurants, and schedule changes. There are free calorie counters available online that make it easy to maintain a food journal. In addition, there are websites that also offer a free nutrition database. Ensure that your source of nutrition data is a qualified nutrition professional. A qualified nutrition professional has a degree in nutrition, board certification and related work experience. An accurate diet history helps us identify dietary issues like inappropriate food portion sizes, excessive consumption of sugary drinks, lack of healthy protein foods, late night snacking, regular consumption of deep fried snacks, intake of extra calories while snacking in front of the television, etc. The goal is to make small incremental changes that address identified dietary issues and can be maintained over a lifetime. This is in sharp contrast to following a weight loss diet that drastically cuts calories, whole food groups like grains, or replaces regular food with diet shakes, etc. This kind of weight loss is hard to maintain as we tend to go back to old eating habits due to a lack of understanding of dietary issues. The whole world is obsessed about weight-loss and getting a sleek figure. Wherever you go, you find pills to lose weight and herbal teas that guarantee weight loss. Some companies have even gone to an extent of inventing gadgets like calorie reader spoons and electric powered waist belts that reduce belly fat. While a majority of us are obsessed about are weight and read diet tips for weight loss, there are a few who are actually trying to add some fat to their body. An athletic figure may surely seem appealing to many. But those who are thin, do feel disheartened at times, when they can't find clothes or accessories that fit them. As there are very few resources available on weight-gain, I personally thought it would be appropriate to write an article on weight-gain through Indian foods. You may ask why Indian foods in particular? Well, Indian cuisine offers an assorted range of recipes that are high in nutrition and have a high content of healthy fats. Moreover, they are easy to modify as per individual requirements. So here it is. A complete Indian healthy food guide that helps in natural weight gain.